Typically shelving is to allow you to display things you want to visually see, but when you make the shelving designs become the visual focal point you really make a “wow factor”. This shelving creates an up and down movement and then by applying the colorful assortment of books becomes a bold artistic element to the room. As a designer, I love to build custom shelving because you can get really creative with the materials you chose to create the style you desire. I recently worked with a steel company to create an industrial design for a commercial stone showroom. The steel pipes had the industrial style I was wanting and the strength to hold the weight of the product. It was like building with an erector set. The steel poles in this shelving design really do the trick and mixed with the warm colored wood shelves is striking. Open shelves in a kitchen are extremely functional, especially with a kitchen that gets a lot of action. There is no need to open cabinet doors and try to find something, everything is visible and right at your fingertips. What is imperative for a great look is making sure what you have on your shelves is organized, neat and color coordinated to bring in the hues you want, to the room. The white shelves in this design really allow the contents on them shine. By offering contrasting Shelving they become the focal point, in the room. The more unique the shelving design the better! Brass is back and trending in kitchen and bathroom design. 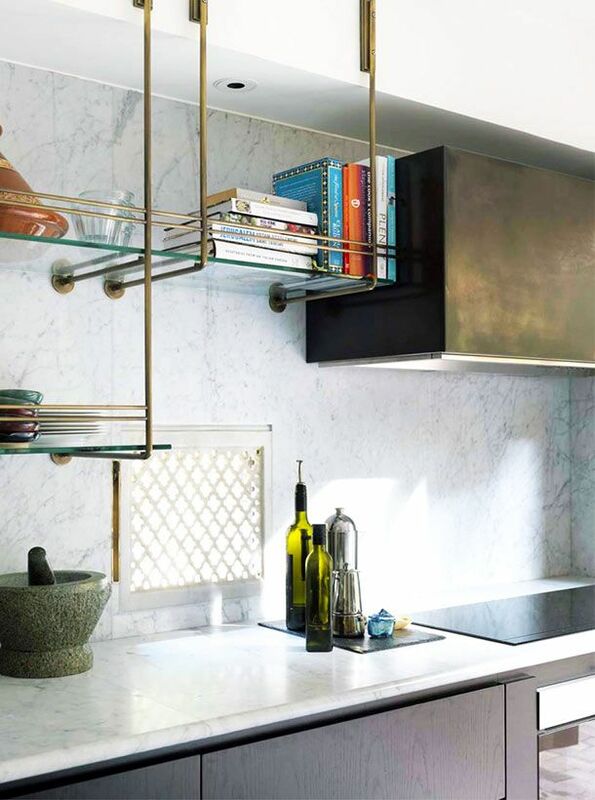 I love how this designer used the brass and glass shelves in this kitchen design to be right on trend. The statement they make is that I am a utilitarian thinker on a tight budget. To continue that motif, I’m moving most of the items I plan to keep (I’m going through a major “de-stuffing”) into bins from the Doillar Tree store — in many colors, since I may be utilitarian in style, but I also like a bit of brightness here and there, including some good original art by family members and local artists on the unshelved portions of my walls. Decor aside, my primary focus is on the three monitors ranged across my homemade desk. I look at them most of the time I’m in this room. Otherwise, I try to spend as much time as I can outdoors, even in hot Florida summers. I’m an outdoor kind of guy at heart. Hi Robin, I am a firm believer in creating the atmosphere you want to work in and it sounds like you have done that. 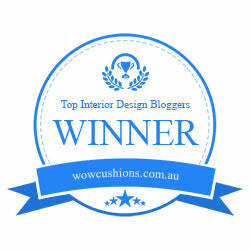 Thanks for sharing and we would love to see some pictures of your office.